You’re back in the game aren’t you? Legendaries have dragged you back to Pokemon Go like a Venomoth to a flame and that’s OK. What’s not OK is having to have your smartphone out in one hand while you walk to work so you don’t miss a single Pokestop or rogue Pidgey that might just be a Ditto. The good news is that there’s an exceptionally subtle way to catch ‘em all and not be spotted doing that signature flick in the middle of the street. 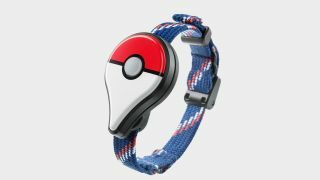 The Pokemon Go Plus is a nifty little accessory that doesn’t just let you vacuum up ‘mon with the press of a button, it also allows you to spin Pokestops and, most importantly, get your steps in to hatch those precious eggs. Hello, stardust and XP! And there’s no shortage of where to find a Pokemon Go Plus. Amazon is a stockist, alongside Nintendo’s official store and a slew of other toy retailers. Here you’ll find the very best Pokemon Go Plus prices and where to find a Pokemon Plus right now.